We discuss today the SEC’s pending consideration of a challenge to its administrative law process in In the Matter of Timbervest, LLC et al., File No. 3-15519. Briefly, the case involved alleged violations of sections 206(1) and 206(2) of the Investment Advisors Act. Timbervest is an Atlanta company that manages timber-related investments. The SEC alleged that in 2006 and 2007, company officers received unauthorized and undisclosed real estate commissions paid out of the pension plan assets of Timbervest’s largest client. The SEC further alleges that in 2005-2006, Timbervest made an undisclosed and unauthorized sale of a timberland property from a fund holding that same client’s pension assets to another investment fund the firm managed. The order instituting proceedings was issued in September 2013. The administrative proceeding was tried before SEC Administrative Law Judge Cameron Elliot, who issued his Initial Decision in August 2014. Mr. Elliot found for the Division of Enforcement in all respects except that he concluded two of the individual respondents lacked the scienter required for aiding and abetting the firm’s violations, and that the five-year statute of limitations in 28 U.S.C. § 2462 precluded the associational bars sought against the individuals and the revocation of Timbervest’s adviser’s license. Both the respondents and the Division of Enforcement petitioned the SEC for review, and both petitions were granted. In their ensuing filings, the respondents argued, among other things, that the administrative process was unconstitutional because SEC ALJs are executive officers who enjoy “two-tiered tenure protection,” although they dedicated only two paragraphs in their opening brief to this issue, and the Division of Enforcement responded with only one paragraph in its opposition brief. In response, the Commission asked that the parties file supplemental briefs on that issue. Those supplemental briefs have now been filed. The Division of Enforcement’s supplemental brief is here, the respondents’ supplemental brief is here, and a supplemental notice of authority by the respondents is here. The SEC recently scheduled oral argument on the case for June 8, 2015. We know, of course, that the SEC is going to uphold the constitutionality of its own ALJs, so the result at this stage is not really in question. But there will be an appeal to a court of appeals (either the D.C. Circuit or the Eleventh Circuit are possibilities), so it’s useful to see how convincingly the Division of Enforcement argued the constitutionality issue to the Commission. By my measure, the arguments made are pretty weak, which still leaves to $64,000 Question: will a court of appeals or the Supreme Court really be willing to invalidate the SEC ALJ framework on the basis of this record? The Division of Enforcement argued that “Commission administrative proceedings do not violate Article II of the Constitution” because “Commission ALJs are not constitutional officers – the only Court of Appeals to have considered the status of an agencys ALJs concluded they are employees, see Landry v. FDIC, 204 F.3d 1125, 1132-34 (D.C. Cir. 2002) – and therefore the removal framework applicable to them does not implicate Article II. And even if Commission ALJs were constitutional officers, the President exercises adequate control to satisfy the Constitution.” Division Supplemental Br. at 1. The first argument – that the SEC ALJs are “employees” rather than “inferior officers” from a constitutional standpoint – seems particularly weak. Perhaps if the SEC were writing on a blank slate this might be sustainable. But it is not deciding this issue without controlling guidance. There are a number of Supreme Court decisions out there that must be taken into account. The Division’s brief does a poor job of addressing these binding precedents. These cases negate many of the arguments made in the Division’s brief. It mattered not that these other officials found to be executive officers were involved in a preliminary process; could not render final decisions; were subject to being reversed; served in an adjudicatory, rather than a “core executive” capacity; were subject to supervision by others; and even were “subordinate” to others. All of the Division’s arguments that ALJs are “employees,” and not “executive officers” for those reasons simply cannot survive contrary Supreme Court precedent. The final nail in the coffin of the Division’s argument that the D.C. Circuit decided once and for all in Landry that ALJs are only agency “employees,” and not executive “officers,” is laid out in the Timbervest respondents’ brief. They point out that the Government itself admitted this is not so. To avoid a writ of certiorari in Landry, the Government represented to the Supreme Court that the Landry court did not decide that issue. Here is what the Solicitor General said: “The court of appeals did not purport to establish any categorical rule that administrative law judges are employees rather than ‘inferior Officers.’ . . .” Timbervest Respondents’ Br. at 16 (quoting the U.S. Government brief in opposition to the petition for writ of certiorari). The Division’s brief presents another argument that carries little water on the “inferior officer” versus “employee” issue: that Congress already decided that ALJs are just employees, not executive officers, by its “placement of the position within the competitive service system,” and the courts must defer to that decision by Congress. That is wrong in two respects. First, there is no indication that Congress made any such decision when it placed ALJs within the overall civil service system, and the Division cites no support for that contention. Second, and far more importantly, it should be wrong that Congress has the power to decide when double-tenure protection can prevent the President from influencing government officials simply by designating those officials to be mere “employees.” The whole point of the separation of powers doctrine is to assure that Congress may not deprive the President of his constitutional authority to execute the laws; it would be bizarre if Congress could grant executive powers to officials and then insulate them from the President’s influence by exercising Legislative muscle. The best the Division could muster on this point was language in Justice Souter’s concurring opinion in Weiss suggesting “deference to the principal branches’ judgment is appropriate” (Divison Br. at 8, quoting 510 U.S. at 194), but that is a slim reed that cannot, I believe, be sustained without doing serious harm to the separation of powers concept. Freytag and the other Supreme Court cases make it crystal clear that whether an executive official is an “inferior officer” depends on the “significance of the duties and discretion” that the official possesses, not a Congressional designation. The Division simply cannot avoid the obvious similarity – and near congruence – of the “duties and discretion” of SEC ALJs in comparison to the special trial judges at issue in Freytag. The Court, which was otherwise divided, unanimously viewed the special trial judges as “inferior officers” within the meaning of the Constitution based on their duties, discretion, and overall role in executive department proceedings, which showed that they exercised “significant authority pursuant to the laws of the United States.” The SEC ALJs have, in reality, at least as great, and almost surely greater, authority and discretion in SEC administrative law enforcement proceedings, and no argument made by the Division in its brief shows otherwise. The Division’s argument that the President has adequate control over SEC ALJs faces only one major obstacle: the Supreme Court’s decision in Free Enterprise Fund v. Public Company Accounting Oversight Board, 561 U.S. 477 (2010). There, the Court found that a double layer of “for cause” protection for executive officers from removal by the President was constitutionally unacceptable. The Division’s task is to identify differences that justify allowing double “for cause” protection for SEC ALJs despite the Free Enterprise Fund decision. The Division is assisted here by footnote 10 of the opinion, which said: “our holding does not address that subset of independent agency employees who serve as administrative law judges. . . . And unlike members of the Board, many administrative law judges of course perform adjudicative rather than enforcement or policymaking functions.” 561 U.S. at 507 n.10. As we saw above, the mere fact that the SEC ALJs “perform adjudicative . . . functions” is not enough under Supreme Court precedent to prevent them from being executive officers performing executive functions. And on this front, it does not help the Division that the SEC ALJs plainly serve as key players in the SEC’s law enforcement function. The Division makes the argument, correctly, that the separation of powers doctrine does not create a rigid, formal structure of Branches hermetically-sealed from one another. The Supreme Court recognizes that there are gray areas, and in such cases it is appropriate to conduct a functional analysis of the extent to which a statutory framework truly impairs a Branch from performing its constitutional duties. Perhaps the best example of that is the special prosecutor case, Morrison v. Olson, 487 U.S. 654 (1988), which adopted a multifactor test to determine whether the statute that limited Executive control over the special prosecutor was consistent with the separation of powers doctrine. The Division appropriately quotes Morrison’s statement that interference with removal of the special prosecutor can be acceptable if it does not “interfere with the President’s exercise of the ‘executive power’” or the duty to “take care that the laws be faithfully executed.” Division Br. at 14 (quoting 487 U.S. at 689-90). The Division’s brief goes on to draw distinctions between the PCAOB and the SEC’s administrative law judges, mostly by focusing on the PCAOB’s broader role in policymaking, as well as arguing that the PCAOB exercises power more independently than the ALJs. Whether these are distinctions of constitutional dimension is not apparent, however, since in the realm in which the ALJs function, they have a high degree of independent control over a key law enforcement function, and the constitutional importance of whether they do or do not make policy (as opposed to performing other executive functions) is by no means clear. But the point is sufficiently made that the analogy between the PCAOB and the ALJs is not so close that it is, in and of itself, compelling (as compared to the analogy of ALJs to the special trial judges in Freytag, which is so close that it is compelling). Having made a credible showing that the unconstitutionality of the SEC ALJs does not follow inexorably from the Free Enterprise Fund decision, the Division turned to the argument that double insulation of the ALJs from Presidential removal does not significantly impair the President’s executive powers. The Division makes five arguments. Four of them are less than compelling; one is downright embarrassing. First, the Division argues that the Commission decides when the ALJs get to decide cases, and the Commission has only one layer of “for cause” removal protection. That formalistic argument would seem to carry little weight as part of a functional analysis, however. From a realistic, functional standpoint, the Commission does – and in reality must – utilize the ALJs to do its enforcement work because it could not handle the workload without them. Put another way, the creation of the ALJs allows the Commission to expand its enforcement activity exponentially, and fueling that expansion with executive officers who cannot be influenced by the President has a real, functional effect on the President’s ability to execute the laws. Second, the Division argues that “the functions that the Commission has assigned to its ALJs are limited in scope and do not rise to the level of core executive authority.” Division Br. at 18. This argument is, in essence, that because ALJs only adjudicate cases, and do not “make policy,” their activities do not significantly impair the President’s execution of the laws. As the Division says: SEC ALJ adjudications “involve the application of the law to a discrete set of facts in individual cases.” Id. I see two problems with this argument. One, it runs headlong into the Supreme Court decisions (discussed above) that either hold, or assume, that officials performing adjudicative roles within an executive function are important facets of the President’s duty to oversee the faithful execution of the laws. Two, overseeing individual prosecutions, finding facts in those cases, weighing the importance and implications of those facts under the law, and determining whether there are violations, and what remedies should be imposed if there are, are arguably the essence of “core executive authority” because law enforcement prosecutions are a core executive function. Third, the Division argues that the President can “exercise constitutionally adequate control” over ALJ decisions because “the Commission retains ultimate authority over administrative proceedings” and “exercises sufficient control over SEC ALJs regardless of the limittations placed upon their removal.” Division Br. at 19. This is essentially a rehash of earlier points, and runs into the reality, and the buzzsaw of prior Supreme Court decisions, that adjudicators do, in fact, make essentially non-reviewable discretionary decisions that control how a case is presented to the Commission. They mold the record the Commission gets to review, and that power substantially impacts – or certainly can substantially impact – the Commission’s substantive review powers. Fourth, the Division argues that the double-tenure protection accorded to SEC ALJs is less extreme than the protection provided to the PCAOB members. Id. This is largely a one-paragraph throw-away point, as the Division makes no effort to explain how the difference it argues has a functional impact on Presidential control. 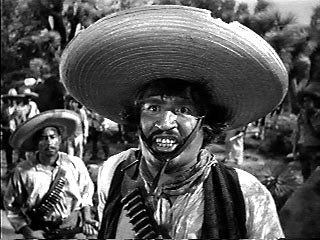 Alfonso Bedoya as “Gold Hat” in Treasure of the Sierra Madre — He don’t need no stinkin’ badges. Seriously, though, the Division’s discussion of why the double-tenure protection of ALJs does not significantly impair the President’s ability to control SEC administrative law enforcement decisions is light on focused analysis of the nature of those law enforcement decisions, the respects in which the Chief Executive may have an interest in influencing those decisions, and the ways in which he can achieve those goals notwithstanding the double-tenure protection. That is the kind of functional analysis called for by Morrison v. Olson, and the Division brief fails to address those key issues. Based on reviewing these briefs, this continues to be a close call. The hydraulics are in the Division’s favor – certainly before the Commission, but also before an ultimate court of appeals, which will stretch mightily to avoid undercutting the SEC ALJ framework, and presumably other similar independent agency administrative enforcement frameworks (executive agencies, however, would not present the double-tenure protection issue). This entry was posted in Administrative Proceedings, SEC Enforcement, Securities Law and tagged administrative law, administrative law judge, administrative law judges, administrative proceeding, Alfonso Bedoya, ALJ, Appointments Clause, Article II, Cameron Elliot, constitutionality, due process, Edmond v. United States, Enforcement Division, equal protection, File No. 3-15519, Free Enterprise Fund, Free Enterprise Fund v. PCAOB, Free Enterprise Fund v. Pub. 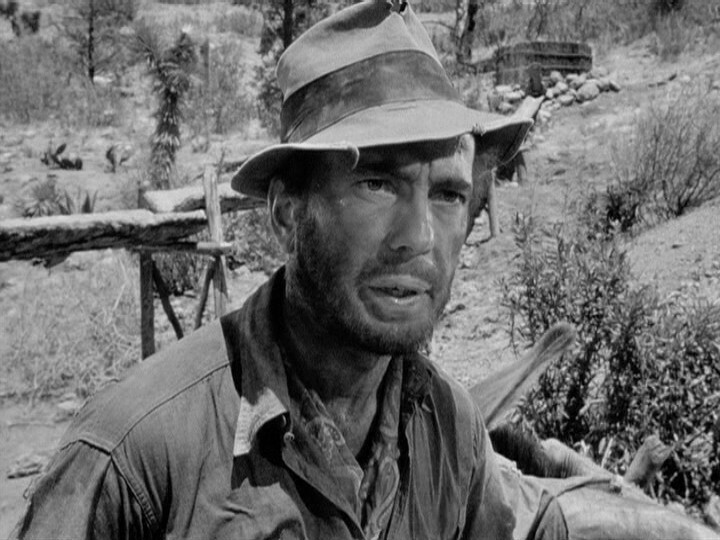 Co. Accounting Oversight Bd., Freytag v. Commissioner, Humphrey Bogart, In the Matter of Timbervest, inferior officer, Landry v. FDIC, lawyer, legal analysis, Morrison v. Olson, PCAOB, principal officer, Ryder v. United States, SEC, SEC ALJs, SEC enforcement, securities, securities fraud, securities law, securities litigation, separation of powers, stinking badges, Supreme Court, take Care clause, Timbervest, Timbervest LLC, Treasure of the Sierra Madre, We don't need no stinkin' badges, Weiss v. United States on May 6, 2015 by Straight Arrow.